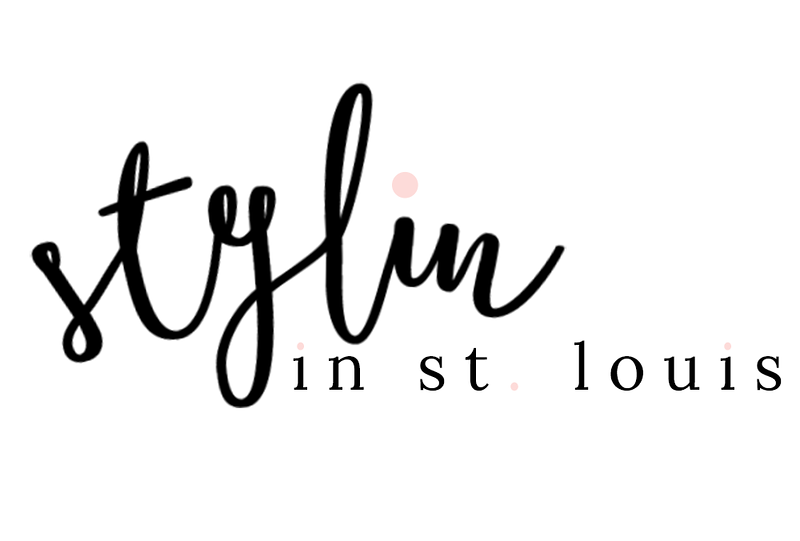 Stylin in St. Louis: Bloggers Who Budget: Holiday for Less…..
Bloggers Who Budget: Holiday for Less…..
Hi Everyone! Hope you had a great weekend! Hard to believe that Christmas is next week! Time has flown this month! 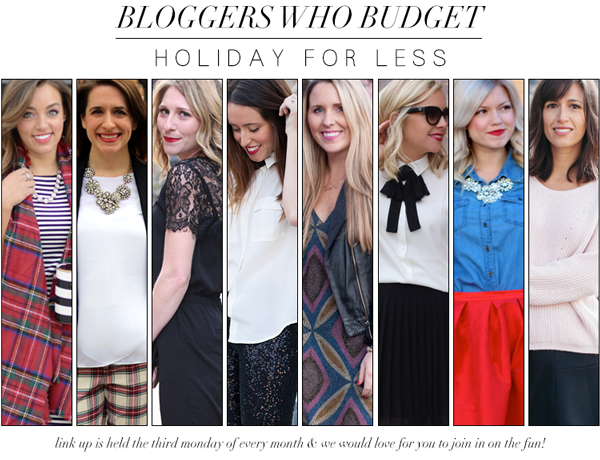 The holidays can get expensive, so bloggers who budget's theme this month is holiday for less! We are showing some great ways to look fabulous for the holidays without breaking the bank! I went with a simple black and white look with a pop of color! This top is one of my favorites and you can bet I will be wearing it a lot next week! It was 50% during Black Friday! So many ways to style it! Be sure to link up your holiday for less looks below! Bloggers Who Budget Link-Up Details: The Bloggers Who Budget ladies would like you to join in on the fun every 3rd Monday of the month, starting 8 AM EST! The BWB link-up is all about sharing how you shop on a budget. Each month will have a theme, which will be announced ahead of time. 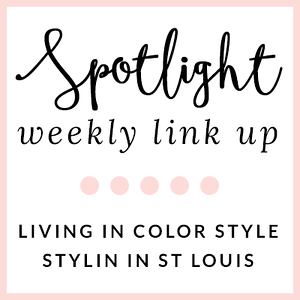 We want YOU to join in the fun of styling something around our monthly themes & can’t wait to see it! Love your preppy look, Jacqueline! It's very elegant and well put together and the red pumps break up the black&white nicely. I just love these bow tops. They are so feminine and elegant. Beautiful holiday look. So chic girl. You look gorgeous! In love with this outfit. Love a good black and white, with a dash of red. You look so chic and cute!! Okay this is too perfect! I tried on this top and almost bought it. I love it and how you paired it with the black skirt and red heels. Love that top and the touch of sequins is perfect for the holidays - love it!! I love this classic style on you! It's adorable! I love that bow top! So classy and adorable! Those shoes and that clutch are the perfect accessories! Absolutely gorgeous! So classy and chic! Soo cute! Love the pop of red in your look so much! Obsessed with this look - that top is so pretty and I love it paired with that pretty pleated skirt! The pop of red with those pumps is the perfect addition! Love this look, it's super stylish and cute! This look is so perfect for the holidays. The bow is such a cute touch and I love that shade of red. Absolutely LOVE this look! So perfect. You look fab. Such a great, classic look! The pleats are very flattering on you! Loving this classic look! You look effortlessly stylish! So ladylike and suuuuuper chic! Love it, babe! This outfit is SO cute! Absolutely love it! Your top is so cute. Such a classic look! The sequin clutch is the perfect accessory!